Scrum is a relatively small framework for teams to adopt. Certainly much smaller than some of the Agile at scale frameworks. However, even small frameworks can take a while to adopt. In this episode, we reflect on some of the most common mistakes Scrum Masters make when helping teams adopt Scrum. 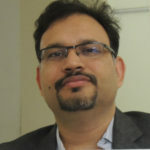 Varun is a Scrum Master and agile practitioner in Australia. He believes in “being agile” rather than “doing agile”. For him, Agile frameworks are not the goal, but rather “Delighting customers, Zero Defects, Quick ROI, Better team work, Excellent Quality & Shortest ‘Time to Market’” are some of the possible goals. You can link with Varun Maheshwari on LinkedIn. After a successful assignment as a Scrum Master, it is possible we think we’ve got the role down to a T. However, reality between teams is so different that even great Scrum Masters can struggle when moving from one team to another. We share one such story, and what principles and practices we can take as Scrum Masters to focus our work on the new team. Elena coaches people who hate wasting their time with badly run agile ceremonies, meetings or projects. She gives them tools to get more out of their time while sprinkling in a little enthusiasm and cheerleading. You can find some of her tools in the forthcoming book Invisible Leader. 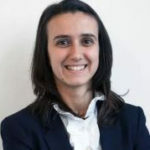 You can link with Elena Astilleros on LinkedIn and connect with Elena Astilleros on Twitter. Eddy is passionate about helping people, teams, and organizations foster a culture of continuous improvement where experimentation and embracing change becomes part of their DNA. 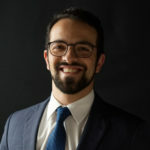 He’s also the author of the Beyond Lean Agile Blog, a Co-Founder of the Lean Coffee Portugal Community, Founder of Agile Online Community and Co-Founder & Director of Startup Grind Porto. 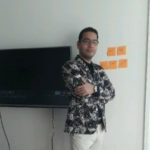 You can link with Eduardo Ribeiro on LinkedIn and connect with Eduardo Ribeiro on Twitter. Many Scrum Masters have a background in other roles within their teams. Some were developers, others Project Managers, others Testers, etc. Many of those roles are “doer” roles. Roles that focus more on execution and less on helping others execute. As Scrum Masters, we must be able to transition from “doer” to “enabler”, and Nedeljko shares his journey with us. 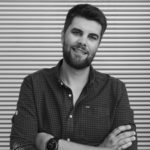 Nedeljko is a Scrum Master and a full-stack developer who has been in the IT industry for the better part of the decade. He spent the last 5 years actively working as a Scrum Master with many diverse teams and projects who has helped him understand his role better. 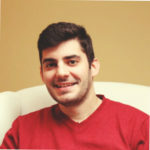 One of the core developers of the first VivifyScrum release, he has participated in its development product-wise ever since. You can link with Nedeljko Damnjanovic on LinkedIn. You can find Nedeljko and the rest of the team at VivifyScrum on twitter. Joining a team, it is good to see that they have their tools in order. They can follow-up progress, track what is missing and even leave notes for each other in the items they add to the tool. The problem is when the tool starts to take over the team, instead of the team owning the tool. In this episode, we talk about the tool-Scrum anti-pattern, when the team focuses more on the tool than the things it should enable: communication, collaboration, progress assessment, and metrics. In this episode we refer to the book Lean Startup by Eric Ries and the work on Hypothesis Driven Development by Barry O’Reilly. 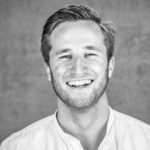 Henrique is a Blockchain Product Manager (i.e. dealing with the blockchain related features/user stories of the product). He is passionate about teams and agile, using scrum to manage even his personal tasks. You can link with Henrique Centieiro on LinkedIn. It is one of the mantras in the podcast: “take it to the team”. That mantra helps Scrum Masters focus on helping teams grow and learn from their mistakes. However, there’s a pitfall hiding in that mantra, and that’s when we rely too much on the team. As Scrum Masters we are also the accountability partners for the team. When we don’t pay attention, bad things can happen. In this episode, we discuss the pitfalls of relying too much on the team, and how to avoid this anti-pattern. Ajeet is an IT professional with 17 years of delivery experience in application development, system integration and software testing. He’s served as a ScrumMaster for over 3.5 years for the clients of USA, UK and Australian geographies. You can link with Ajeet Singh on LinkedIn and connect with Ajeet Singh on Twitter. Scrum adoption, just like any other process or framework, is not free from troubles. Especially when organizations are already in the middle of a problematic situation. In this episode, we review several anti-patterns of Scrum adoption, including hierarchic struggles, abusing the Scrum roles to make them just another set of titles, the extreme attention to the Product Owner role, and many others. Sometimes team members will speak up. They might even challenge the Scrum Master. At those times is when we must step back, forget about what we “think is right” and let the team members take the lead. That’s the first step in taking responsibility! In this episode, we refer to the work on FIXED vs GROWTH mindset. Raluca calls herself a recovering Project Manager that discovered Agile and somehow the “good, the bad and the ugly” received distinctive names. 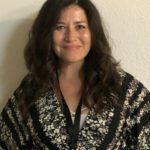 She loves her job and practices Accelerated Learning to achieve her Goals (to become a Scrum Master Trainer for Scrum Alliance, to write a book, acknowledged as an Inventor, share her ideas to the world and with her daughters). And maybe someday to be a Bonus Podcast guest on the Scrum Master Toolbox Podcast :). You can link with Raluca Mitanon LinkedIn and read Raluca Mitan’s blog. When we get started as Scrum Masters, especially those that have a Project Management or Management background, we tend to “enforce” Scrum. As our understanding progresses though, we start to learn that there’s a lot of value in helping teams learn by themselves, help them feel confident and take over the process. In this episode, we discuss that change in our approach to the Scrum Master role, and a lot more! We talk about Extreme Programming and how that approach should be looked at by Scrum Masters. We also refer to Kent Beck’s Extreme Programming Explained and Martin Fowler’s Refactoring book. Doug has been an agilist since before it was cool, as his first agility client can attest. He is currently the Director of Agile Development & Coaching at Wisconsin-based Flexion inc., leading agile teams that serve both private and public sector clients. His current hobby is thinking beyond agility, to antifragility. 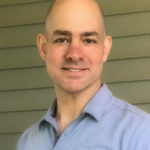 You can link with Doug Knesek on LinkedIn and connect with Doug Knesek on Twitter. Let’s say that we are working with a team that is respecting the Scrum rules. They have their Sprint Planning. They hold their Retrospectives. Everyone talks during the stand-up. At first glimpse this team is doing Scrum right. But there’s one thing missing: delivering value to customers early and often! Preparing to release value is not value delivery. In this episode, we talk about the teams that miss that critical aspect and what we, Scrum Masters, can do about it. 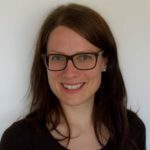 Working with agile and scrum only since for a year Anja still considers herself a scrum-beginner. Before starting at her currrent job which brought her into the world of agile, she studied physics and then worked in research for several years. You can link with Anja Bonatto-Minella on LinkedIn.